Authors: M. Shantharam Shetty . AO Trustee 2006-11 & Past Chairman AO Trauma India Council. Introduction: Change is the very essence of life. I had the unique opportunity of going through this change for the last 50 years not only in Orthopaedics, but in the practice of medicine as a whole, its ethics and philosophy. Main theme of this oration changed into an article is to emphasize that we should change with time and do no harm if we cannot do good in our practice and how important it is to follow strict ethics and philosophy to maintain the strength and integrity of our profession. This article emphasizes how we can make mistakes and how we can rectify it in time. It also deals with the importance of following strict ethics in our daily medical practice. Key Words: Change, ethics, research, innovation, peace. Ever since Nicholas Andry , the French Surgeon coined this word “Ortho-paedia” in 1741 much water has flown both under and over the bridge. Since then orthopaedic knowledge and innovations have virtually exploded and the strides made in the last 2 decades – far surpasses the progress made in the whole history of mankind. History is the story of creativity of our past masters who questioned why and what, it required an Alexander Fleming or Lord Lister or Arbuthnot Lane or John Charnley or G.A Ilizarov and many others to explain and create a new order in othopaedic surgery. It is sad that we do not have any Indian name in this illustrious long list. Change in every sphere of life is mandatory. If you do not change, change will replace you and put you down to mediocracy. Change is the very essence of life. There is no place for mediocracy in the present world My orthopaedic career started in Victoria Hospital, Bangalore as a Lecturer in Orthopaedics in December 1966. These 50 years after my post graduation in Delhi, travelling all round the world on many fellowships, conferences and lectures and working as a teacher for 45 years in Mangalore, I have seen the transformation in our speciality which very few would have experienced. Scenario in Victoria Hospital 50 years ago, in orthopaedic ward was 15 were on traction, Balcon beams, Thomas splints and Bohler’s traction. 10 were on plaster – foul smelling and floor beds were a common feature.I still remember how we used to struggle fixing both bones forearm with a hand drill and shermans plate (Fig. 1) and fixing a fracture neck of femur with SP nail with a x-ray room two floors down for a film to be washed. The theatres were mediocre with little discipline. In this 50 years we have changed in to most sophisticated hospitals with every facility comparable to the best hospitals of the world. Today, different types of locking compression plates (LCP) and anatomical plates for fixation of fractures and osteotomies have emerged. From Charnley’s hip to various modular hips with variable bearing surfaces have come in for better functions. From Wallidus hinged bicondylar TKR to unicondylar to variable platforms have found its place. From Mediocre Theatres we have moved on to sophisticated laminar flow theatres with navigation and from crude nursing support to well-trained ORP support. With the biotechnological pursuits and better understanding of bone healing, imaging, joint replacements, keyhole surgeries, nano technology, navigation, robotic systems, tissue engineering and stem cell technology, the next 2 decades for the surgeon, the teacher, the student and to the patient will be most fascinating period in the history of orthopaedic surgical pursuit.But we should also realize that we are a country of billion people, 30% – below the poverty line and have no access to potable water and sanitation, 28% are uneducated and 15% have some sort of Insurance/medical support.We followed the British system of medical education, hierarchy and methodology. It is sound but our structure remained stagnant for the last 50 years like the rigid crossbelts of a British soldiers though the Britishers have changed their methodology of education to a large extent. We have remained stagnant forgetting the ground realities of our country and our countrymen.Change is necessary and mandatory in our outlook and implementation of our dreams. I do not pity surgeons who do not realize their dreams, but I pity those who do not have dreams to realize and aims and goals to be scored. So it is time we change our teaching to problem based learning and our patient care and surgery to be innovated to the needs of our patients taking sometimes even the financial background, their occupation and livelihood in the villages. Our teachers should change to the newer circumstances, patient’s demands and well being with newer methods of teaching. No science, medicine or agriculture, economics or veterinary, physics or chemistry can survive unless we undertake research. We, the physicians and surgeons in India have miserably failed in this endeavour and wasted our large number of resource of our patients strength not to have been put into research. Excuse given by our younger surgeons is, we have no infrastructure facilities. Alexander Fleming, Thomas Alva Edison or Lord Lister or Joseph Hunter or G. Ilizarov did not have any advanced laboratories for their work. It was their tenacity of purpose and will power which made them immortals.Since last 5 years, if you look into the international scenario, the publications in indexed journals on any speciality or general orthopaedics by Indian authors is miniscule and the patency rights taken by our surgeons is negligible. In our practice for the betterment of our patients, we have to motivate and innovate to the needs of our patients. Unless we innovate and keep running with the present changes we will remain armchair surgeons and cannot be leaders. To have an international standing in orthopaedics, we should publish more in Indexed journals with impact factors and this will require research utilizing our large number of patient strength which no other country except China has. For publishing, a practicing orthopaedic surgeon has equal opportunity as the senior most Professor in a Medical College. Not even 1% of our surgeons or the hospitals have a perfect record keeping device. To be effective leaders in orthopaedics, records are vital tools. We should realize that, we are living in a evidence based world today. The conservative line of management was the main stay in the treatment of fractures since the history of mankind. Today, in the name of life is movement and movement is life, every fracture is being raped with a nail or a plate or a joint replaced. We forget the biology and think of the mechanics and not bone as a tissue but a tool. By this I do not mean to say internal fixations are bad. Only we will have to be very specific of indications and the results thereby and trained well in the surgery we undertake. To be successful in orthopaedic surgery basic mechanical aspects in internal fixation of fractures can never be eclipsed by new fixation devices. In treatment of fractures & diseases of bone, a surgeon should be a gardener, not a carpenter.I feel the patient and the relatives are confused, so a team of doctors in every hospital should plan the treatment and execute it to perfection. All of us are not divine and if a patient requires a better care as per the latest evidence he should be given that choice. Look into these fixations (Fig. 2-7) which gives a scare. Atleast do no harm if you cannot do any good ‘primum non nocere’. Each one of these patients have a story to tell as to the misery they have undergone including loss of jobs, finances, family life and pain, could have been prevented with a proper initial treatment. Let us look into the case studies of fractures of shaft humerus. Which is one of the commonest fractures which is insulted every day (Fig 8,9,10). In the treatment of this fracture, we have travelled on from bamboo splint  hanging cast  functional brace Compression Plates  closed interlocking nails to MIPO LCP Plates. Both Caldwell 1950 JBJS and Sarmiento 1981, Springer &Berlin [2, 3] reported 90% good results.These are x-rays (fig. 11) of the different types of fractures of shaft of humerus treated with simple functional brace. Hee et al Ann Acad Med Singapore 27:772-5  reported the following complications:Non-union 10%, osteomyelitis 1 – 10%, radial nerve palsy 11% and shoulder and elbow stiffness 20%, 50% of our plating patients can cause complications (Fig. 12) which still remains to be the gold standard for treatment of fracture shaft humerus. Complications of nailing are much more (Fig. 13). So, it is important that every surgeon should see his own brother or sister in his patient and opt for what is the best mode of treatment and execute it to perfection.But, we should remember that modern orthopaedics as a science is unique – that along with science, technology and logic, It demands precision apart from empathy, integrity and hard work, integrated with its rich ethics and philosophy. Ethics in orthopaedics is difficult to define, it has to come from within and a way of life and I always feel as orthopaedic surgeons, if we do not practice the basic ethics we will live a life of guilt. It is only by following medical ethics and philosophy that we can show transparency and effective leadership – said Hippocrates in 400 BC. Unfortunately, India since last few years, the relationship of doctors and general public is showing cracks. To add further fury there are self styled leaders in the general public, who misguide the laymen to fight against doctors in the name of injustice to the common man – in the consumer forum. The relationship of a doctor – patient is corrupted by greed on either side. It is time we correct this anomaly. No other profession in the world is described as “Vaidyo Narayano Hari Vaidya Devo Bhavah”We, as professionals should be above greed and hatred and remember that we are all sailing in the same boat. Let us not drill holes into this mighty ship. We should stop criticising our colleagues and the seniors should look after the interests of the juniors and automatically the juniors will respect the seniors. If we are united and follow the Hippocrates oath, the consumers act on doctors will have a natural death. To quote TNN Dec. 27, 2003 , “The pharmaceutical companies follow the three Cs to get doctors to use their products: convince, confuse or corrupt”. We should not fall prey to these Cs and our leadership should show that we are much above these petty things in life. It pains you when you hear that one of our colleague is involved in a malpractice giving cuts to the agents taking cuts on the investigation or MRIs or CTs or issuing a false certificate for a gain. To be an effective orthopaedic surgeon, he has to be transparent, disciplined and focused to the cause and betterment of the science he practices and his patients. The peace and harmony and the satisfaction one derives by practicing ethical practice far surpasses the millions of Rupees ill gained by malpractice thereby to the agony of our own patients. The greatest curse of mankind is greed. There is enough in this world for every man’s need but there isn’t enough for a single man’s greed. Let us overcome this greed and let us be examples to our junior colleagues and to our other professionals who have a lesser stake as far as ethics and philosophy is concerned. To build a great country and our profession, we should fight this cancer of the society – corruption in every walk of our life. The greatest of the human virtues are to overcome greed, jealousy and hatred and encompass compassion , love and forgiveness. (Dharmaraya’s answer to Yaksha on human virtues and ethics). At the same time to quote the great fiction writer Sir Arthur Conan Doyle , the creator of Sherlock Holmes “A physician can be the worst of the criminals for he has the knowledge and the means” .My vision is clear. At all levels of teaching we should have Problem based learning. problem based learning (PBL) and integrated teaching should be introduced to train our orthopaedic trainees to be problem solvers than problem makers. Communication skill – innovative skill, etiquette, computer in medicine, medical photography, how to use a library, how to pass an examination, stress management / leadership/ compassion and understanding should be a part of training.Today is a day of specialities. Gone are my days when we were jacks of all if not masters. Today there is every opportunity for young surgeon to gain mastery in the particular field of orthopaedics he chooses. Perfectionize whatever you want to undertake. But if you think you cannot do a perfect job, pass it on to your colleague who can do a better job. • Let us not bow down to cuts and indirect bribery. • Let us not be influenced by Pharmaceutical/Surgical companies in our everyday practice• Let us not undermine our own colleagues and brethren. • Practice what is evidence based and not eminence based. • Fruit of service is peace, and let us pray God to give us this peace. To Recall the Words of the Father of our Nation . ‘The deadly sins in today’s world’ are Wealth without work Enjoyment without conscience Knowledge without character Business without morality Science without humanity. Religion without sacrifice Politics without principle…and service without results. Let us not be sinners….. but be achievers. We are all proud of our speciality and let us be examples to our colleagues that knowledge, ethics and philosophy of good orthopaedic and medical practice is our power. Let us thank God for his great gift to us to have made us orthopaedic surgeons. As leaders in our orthopaedic field, let service ennoble us, let compassion mellow us and let justice be the guide of all our actions. 1. Nicolas Andry, (1658 – 13 May 1742) was a French physician and writer, Wikipedia1. Nicolas Andry, (1658 – 13 May 1742) was a French physician and writer, Wikipedia. 2. Caldwell GA. “Orthopaedic surgery today and tomorrow”.JBJS(Am) 1951;33(2):279-283. 3. Sarmiento A, Latta L, “Closed Functional Treatment of fractures”1st ed. :Springer Publishers;1981. 4. American Academy of Orthopaedic Surgeons (Breck and members) 1990. 5. AO Surgery Reference – online reference for Clinical Life. 8. H T Hee et al. 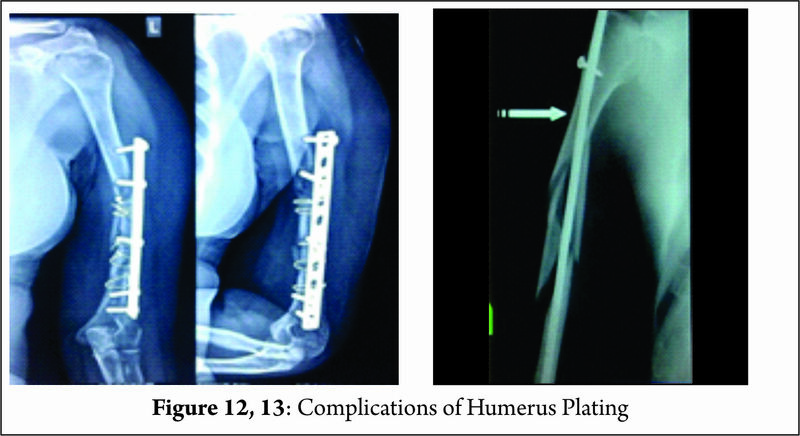 Surgical Results of Open Reduction and Plating of Humeral Shaft Fractures. Ann Acad Med Singapore 1998; 27:772-5. 9. The Tamilnadu News, Dec. 27, 200310. Google Search (Mahatma Gandhi , Arthur Conan Doyle & Mother Theresa). How to Cite this article: Shantaram S. Changing Scenario in Orthopaedic Surgery and Ethics and Philosophy of Orthopaedic Practice in India. Journal of Clinical Orthopaedics Jan – June 2017; 2(1):4-9.